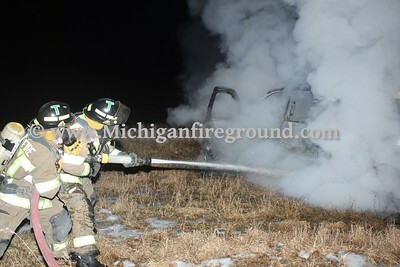 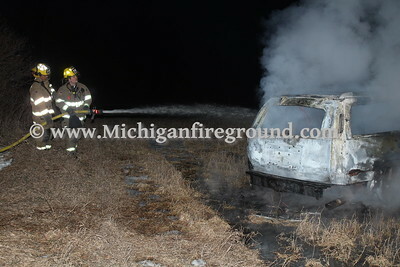 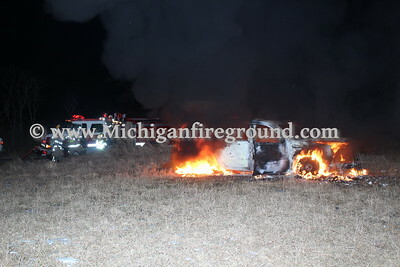 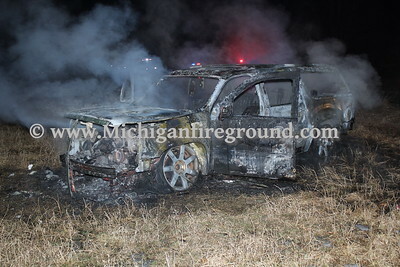 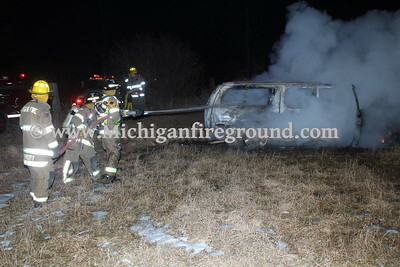 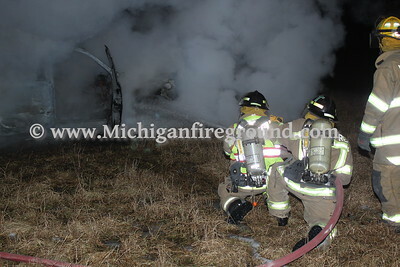 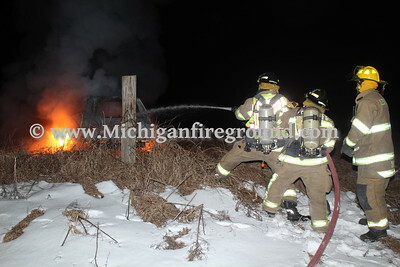 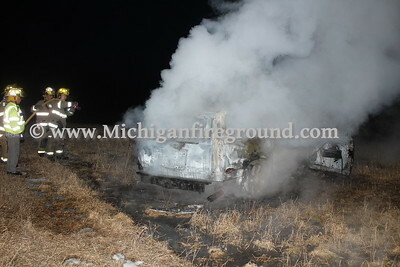 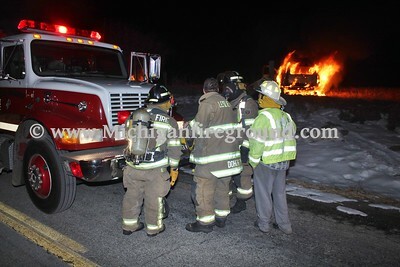 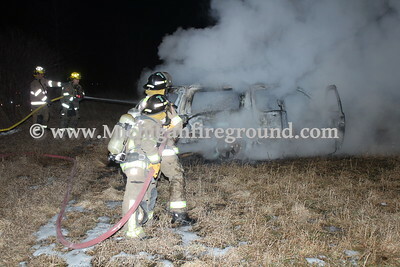 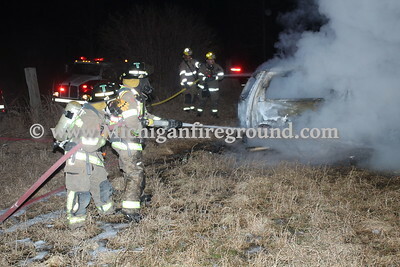 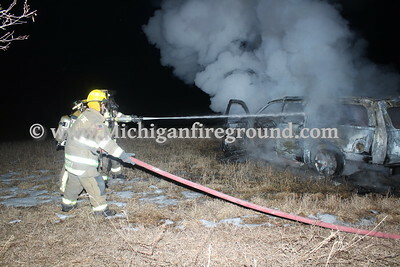 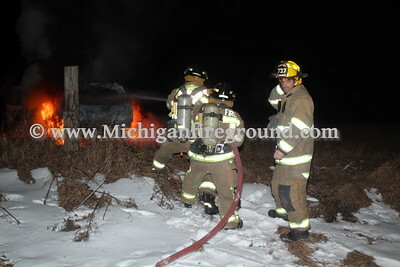 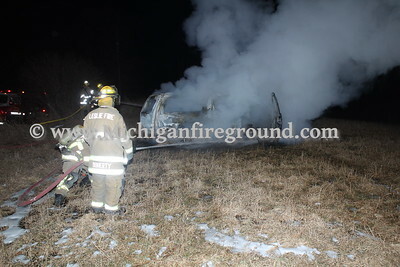 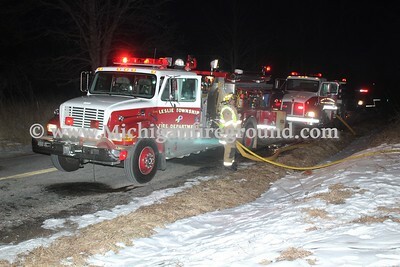 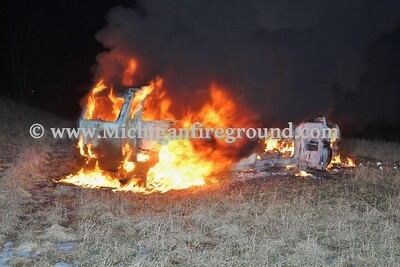 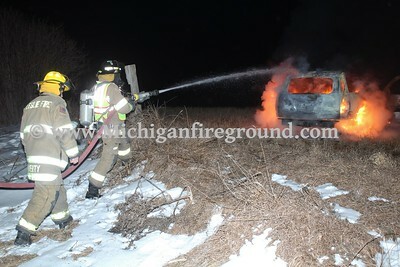 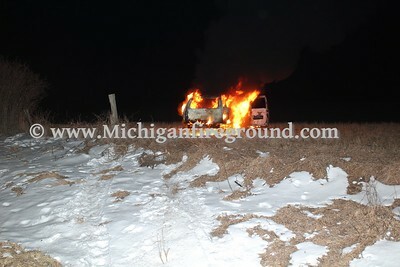 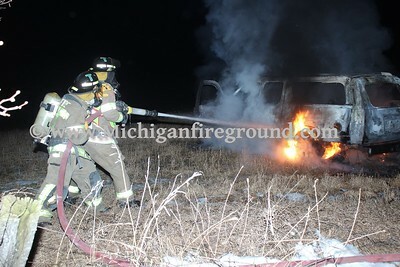 At 10:15 PM on Thursday, March 7, 2019, the Leslie Fire Department responded to a vehicle fire on Hawley Rd north of Scofield Rd. 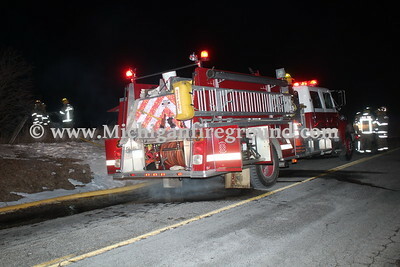 The fire was reported by a passerby. 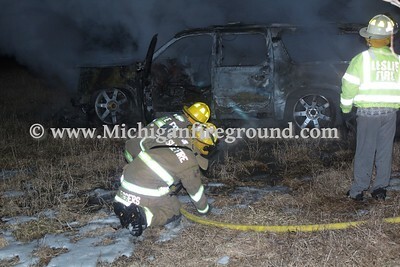 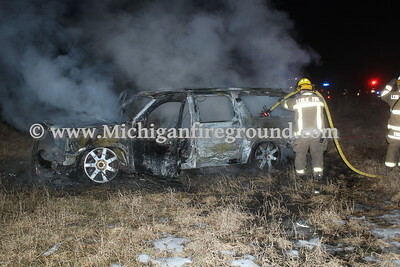 On arrival a full size SUV was found to be fully engulfed and already consumed by the fire. 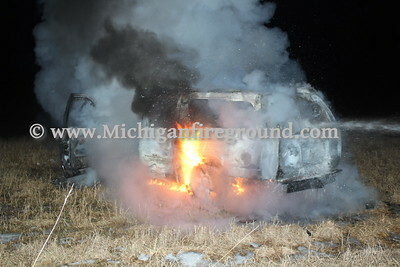 There was no obvious signs of vehicle damage from a crash and no driver was found in the area. 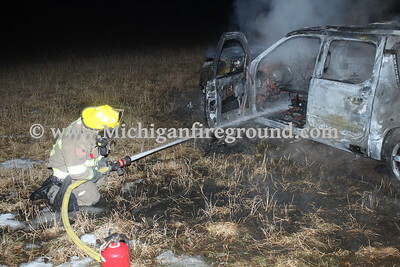 Care was taken during extinguishment to preserve the scene as much as possible.